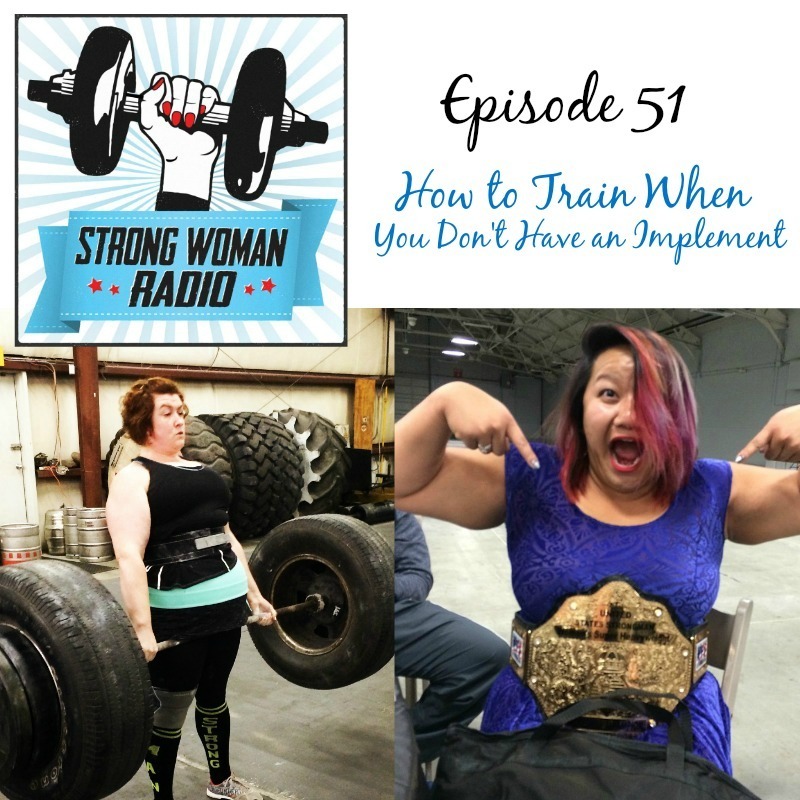 Strong Woman Radio is a podcast about women, weights, and strength. Welcome to Strong Woman Radio, a sanctuary free of testosterone (except for a few special guests), where ladies who like to lift heavy things can chitchat about the struggles and success that comes with being a woman in a male dominated sport. We welcome listeners of all sports, be it strongman, Crossfit, olympic lifting or more; but be warned we don't like running very much unless we are carrying or dragging something heavy while we do it. DON'T FORGET TO download, subscribe to and listen to the previous episodes! And as you get familiar with the show, leave those reviews and ratings in iTunes, and send us your questions and comments via the comment form, which can be found here. Stacy finally had her MRI! She has an L4 and L5 herniated discs, one of which is compressing one of her nerves down her right leg. The problem has been that Stacy hasn't been in as much pain as other people, so doctors may not have been as convinced of the seriousness of her condition at the time. But when she went to get the treatment that morning, she was feeling almost completely better, so she declined the procedure. She's started taking supplements and feels much better and hopes to not ever need surgery. Ironically, she didn't injure herself doing Strongman at all, but doing MAS wrestling and at a garden clean up. Stacy is definitely off to do some yoga and aerial and inversions to try to help her back! Listen to the last Paleo View for more details on her injury and her associate depression. Viv is way into Pokemon Go! Vivian talks about running these days to regain some athleticism that has gone into lifting. Viv's trainer Jason ended up in his first real competition and won every event. Women seem to love strongman as soon as they realize they can do the events, especially stones. Stacy thinks that they have helped her recover! Crossfit is in the news these days with the Games coming up and the documentary on Netflix. Men seem to be intimidated by a woman who can lift more than them. And all the Strongmen seem to be taken. Men also seem to be into being macho with her when she'd like to be treated like a girl sometimes. Vivian will be finding pokemon and trying to find dudes. Send Stacy videos on not lifting strength endeavors! Vivian survived her whole trip traveling from home to Louisville and back all by herself with no backup at all! Vivian was staying at the same hotel as the people attending the Muhammed Ali funeral, too! Vivian's friend Glenda was selling Lularoe at the show as well. The hardest part for Stacy was that there was no feed on Instagram or Facebook so no one could follow along! Vivian did exactly what she planned on doing in each event. She finished second in the show! The winner was much, much bigger than Vivian, but that's how super heavyweight (200+) goes. Most women in the class are going to be taller and weigh more than Vivian. See the comparison here. Samantha Coleman, the winner, is a world record holding powerlifter. She's new to Strongman, so we look forward to seeing her at Worlds! Vivian feels so much less stress now that she's no longer defending champion. The hardest event for her was the fingal fingers, which she was unable to train on. Overall, the event was a lot of "cardio" because of all the reps and all the moving events. Huge event! 314 people competed overall! Vivian was only 3 points from first, and now feels like last year wasn't a fluke. Unfortunately, Sarah from Primal Bites was injured and couldn't make it to the show. Stacy finally got her MRI and so hopefully is closer to recovery! Kalle Beck's seminar was last week as well. The Rock, Dwayne Johnson eat 2.3 pounds of cod per day, according to his diet report. Or 821 pounds per year. Vivian is now deciding if she should cut 20 pounds to get under the heavyweight limit for her next show. Jen Sinkler is coming to the east coast! Stacy and Viv are planning on stalking her. See her on Snapchat! Go see Vivian at LoCo Crossfit on July 2 for a Strongman seminar as well! Stacy and Viv are looking into how to get rid of clothes they no longer use, especially their Lularoe and workout clothes. Wesley wants to create his own version of Batdad. Coming soon because we can't figure it our yet! Not to sound like a douche, but Stacy is good at almost everything. But she'll throw a temper tantrum if she finds something she's not good at. Ricky Bobby: If you're not first, you're last! Welcome back Stacy! She's back from vacation with her sisters and dad! She visited her relatives on her dad's mom's side. And they're pig farmers! How interesting! Stacy saw a Contiki tour bus, reminding her of Viv's trip. She's lifting intense every day now and extremely tired, but after her week off before the competition she'll be anxious to lift heavy again! You're much less likely to have a bad day after that rest. She's very excited to compete because there are over 300 competitors coming, including 8 Superheavyweight Women! This competition, she's doing Fingal Fingers (essentially flipping a giant telephone pole). Look for similar events you can train. A Conan's Wheel is a Zercher hold Farmers' Carry! If you can, you'd want to visit the gym where the competition is and train on your actual competition equipment! Meg was pretending she didn't know Strongman and Stacy was like "But I met you at a Strongman competition!" It's a great fun video to watch! And the competition is stiffer this year, so she doesn't know how it will go this year. Viv's looking forward to the bourbon and fun later, after the competition. Welcome back everyone and welcome Sarah of Primal Bites and Sarah Lifts! Thank you everyone for tuning in! Molly - Do you have any tips for Whole30ers or new Paleo eaters who are struggling to get acclimated to their new way of eating? Especially those in strength sports? Any pointers for strongma'ams? I like powerlifting, but I am starting to LOVE strongman implements more and more. We will be back next week - stay strong everyone! 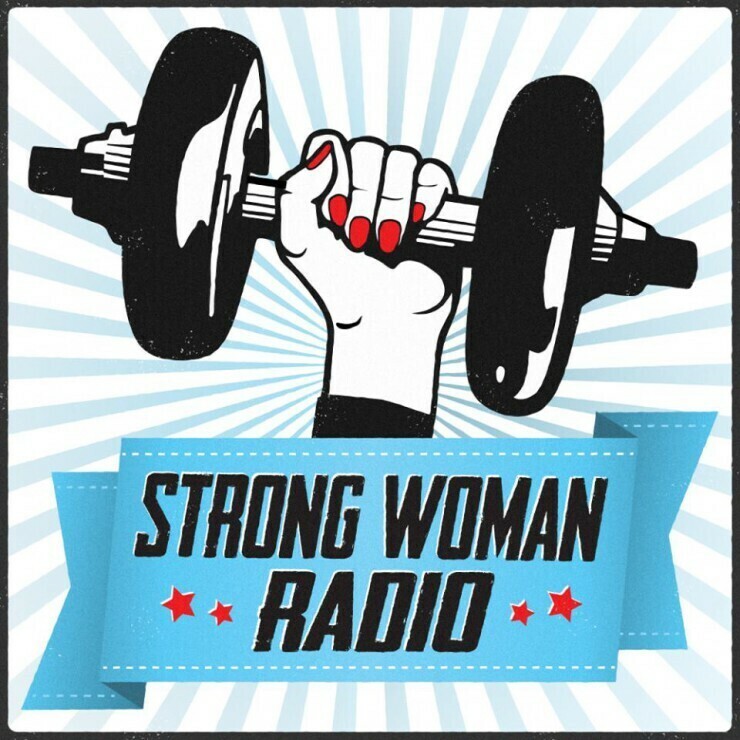 Welcome back to Strong Woman Radio where we are showing up twice in a row! Thank you so much Noelle for joining the show this week! Be sure to check out Noelle's site here and all of her channels! Stay strong everyone - we will be back soon! Andrea is giving Strong Woman Radio listeners 15% off with the code 'StrongWomen15' - so be sure to check out her site and take advantage of this great discount! Thank you Andrea for joining this week's show! Stay strong everyone - we will be back again soon!